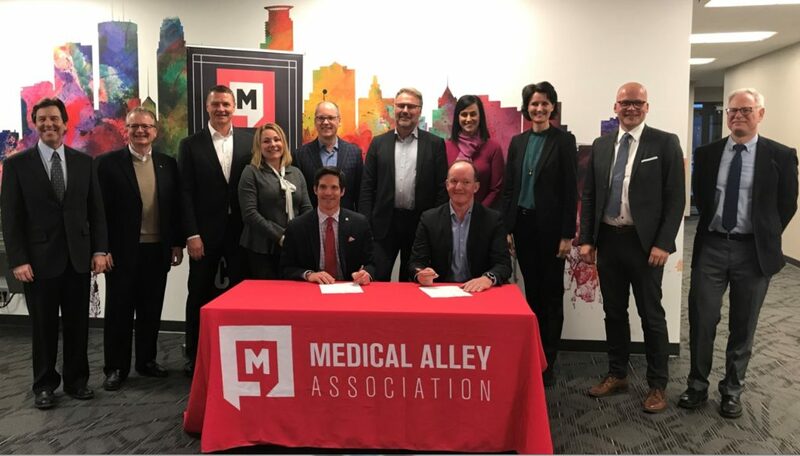 Minneapolis, MN – A delegation of Denmark’s medtech and health leaders are in Medical Alley this week solidifying a first-of-its-kind MedTech Bridge partnership with the United States. MedTech Bridge is a new program established to open the door for medical device and digital health companies in Denmark looking to create operations in the United States. ​Funded by the Danish Industry Foundation, MedTech Bridge will guide Danish companies to the best possible market entries, and coach companies how to materialize their potential in the United States, tapping into Medical Alley’s unique community. The Danish Delegation will spend the remainder of the week visiting multiple Medical Alley companies and creating a comprehensive action plan for MedTech Bridge’s first year in operation.